I think I am the biggest coffee drinker that I know. I have a cup with me almost all day long. Sometimes I try to cut back but it just never lasts for too long. I have proclaimed myself a true coffee addict. When I heard that Chick-fil-A now offers a Frosted Coffee beverage, I was quite ecstatic to give this new drink a try or two or maybe three. 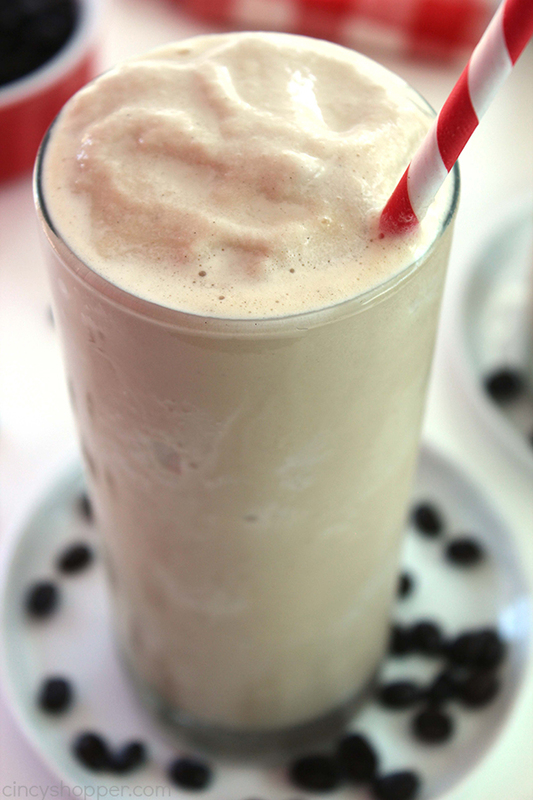 Cold coffee can be wonderful during the summer months. Heck.. most of the time I am drinking my coffee cold because I am a busy mom to 5 kiddos. Getting a hot cup is quite rare. 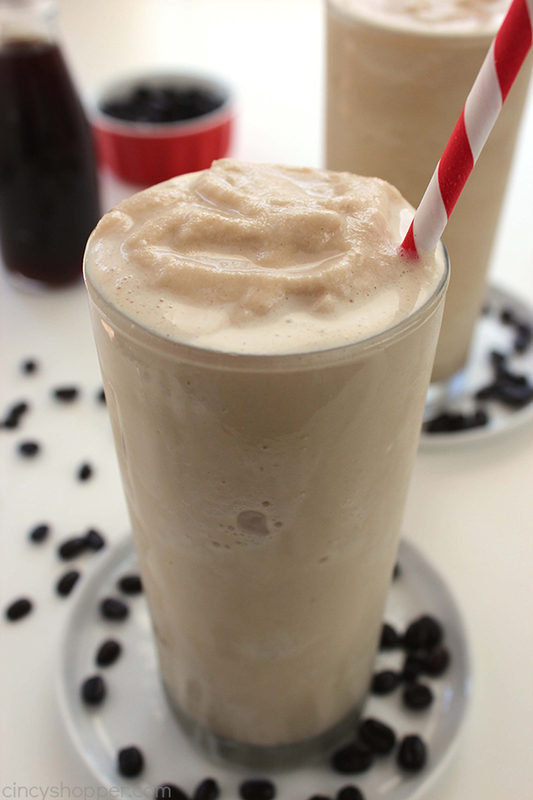 So a cold coffee beverage sounds perfect. 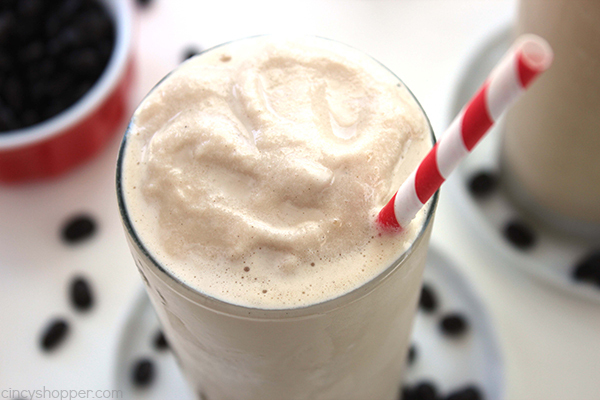 Last summer, I shared our CopyCat Chick-fil-A Frosted Lemonade recipe with all of you. It is one of the most popular recipes on my blog. It was even featured in Women’s World magazine. 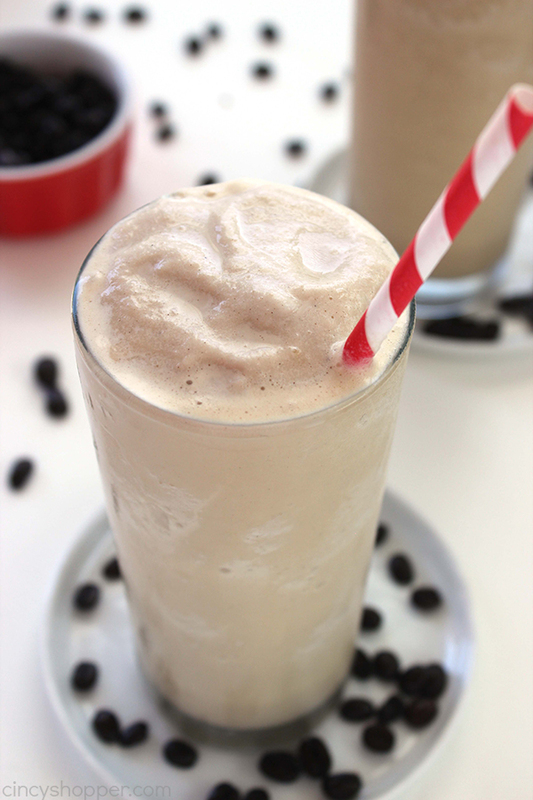 Since I did so well with that recreation, I knew I had to try to replicate this awesome Frosted Coffee beverage. 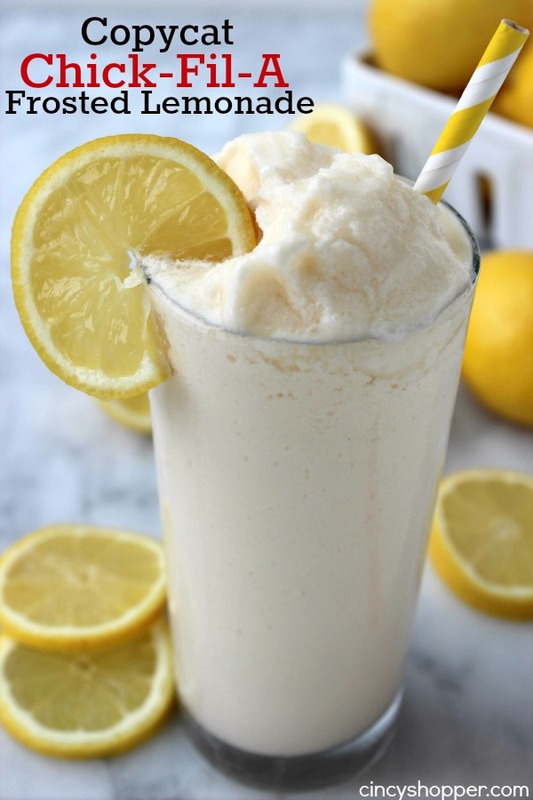 I made this recipe almost identical to the Lemonade. I just subbed cold brewed coffee in for the lemon. 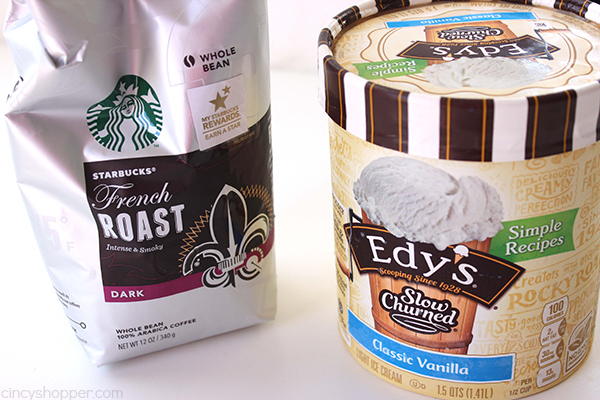 I used the Edy’s Slow Churned Ice Cream again because the consistency is always perfect. I was so happy this came out perfect. The coffee flavor was just strong enough. 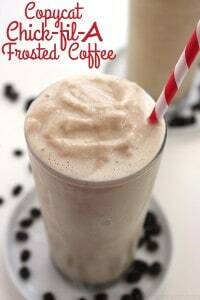 As a coffee drinker, I believe it is the BEST cold coffee treat. YUMMO! 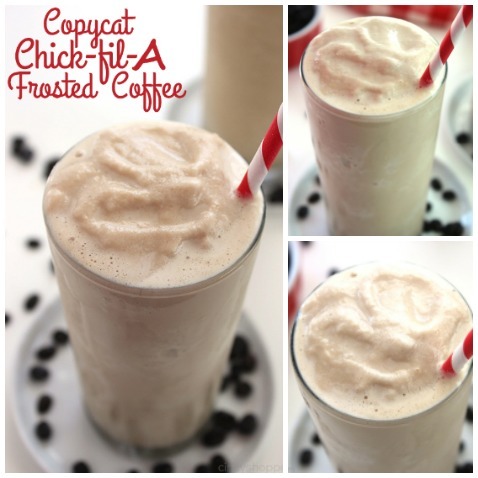 Just two simple ingredients are needed to make your own homemade Chick-Fil-A Frosted Coffee. 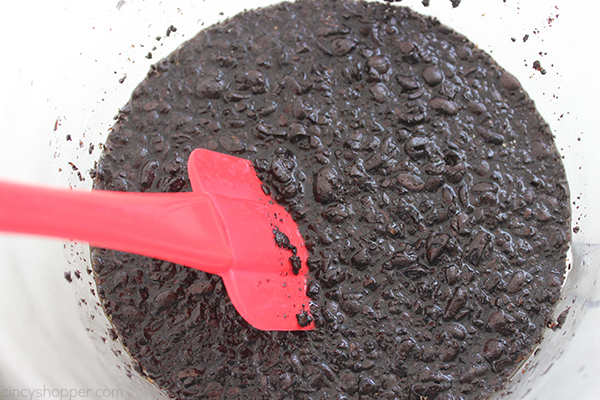 You will need coffee beans and vanilla ice cream. I have found that Edy’s Slow Churned Ice Cream is the closest to Chick-fil-A Ice Dream. 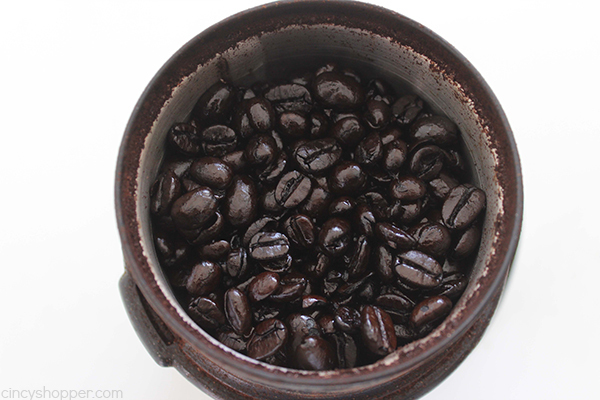 Place ground coffee in large container with water and allow to steep in refrigerator overnight. 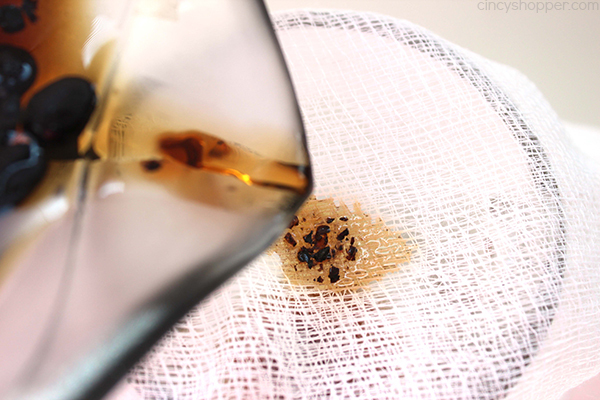 Strain through cheese cloth of filter to remove beans. 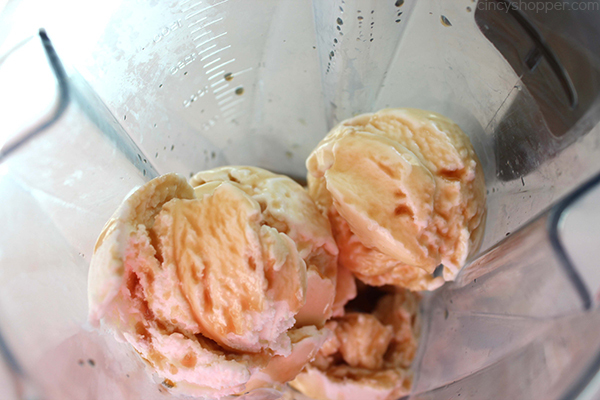 Add one cup of coffee to two cups of ice cream in blender. I have never had Chick-fil-a, as they are not around here, but this is making me wish there was one, ha! 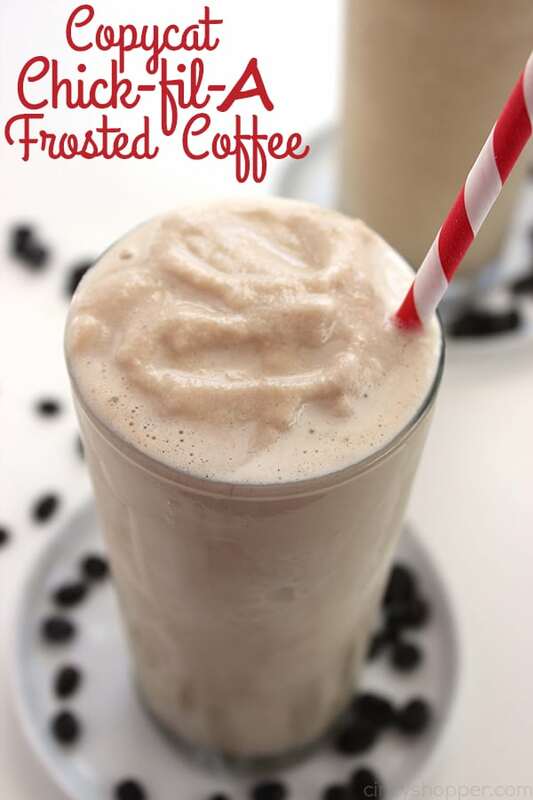 This is definitely something I will have to try – I’m a cold-coffee lover as well! Yum! This looks so good. Thanks for sharing at Merry Monday! 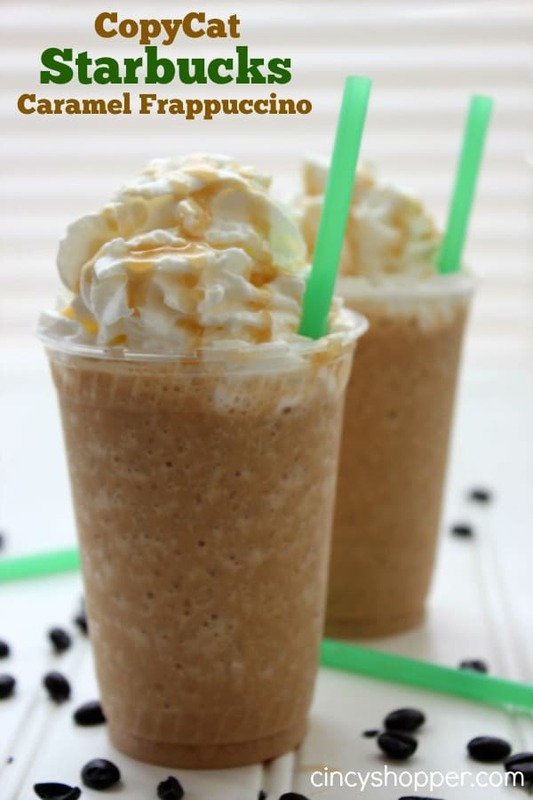 This Chic-fil-a Coffee drink is without a doubt the best, most addictive drink I have ever put in my mouth!!! 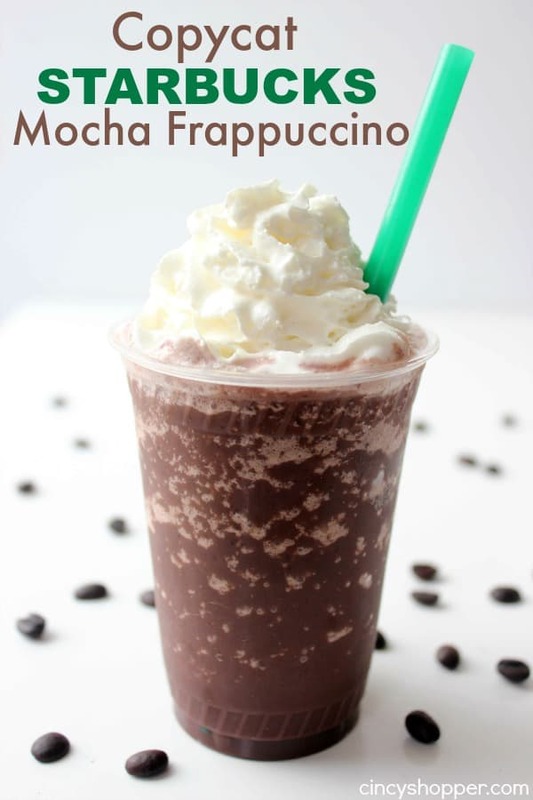 I’m usually a one cup in the morning coffee drinker, but I would love one of these three times a day! YUM!!! 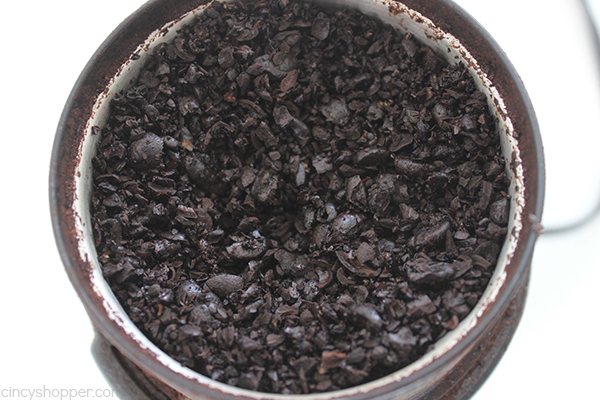 I have ground coffee, can I make it in the coffee maker; 1 cup coffee, 2 cups water, that way?